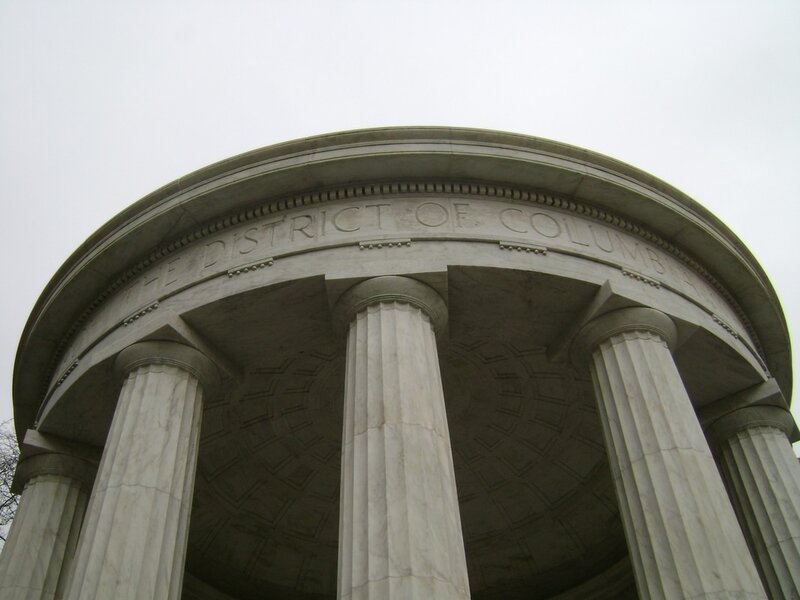 DC's World War I Centennial Activities & Programs - The Association of the Oldest Inhabitants of D.C.
Below are 34 images representing each panel (in pairs of two groups) of all 499 names, seals and medallions on the District of Columbia War Memorial. You can pause or move through the show to locate the name of a relative or loved one. Note: while you cannot 'click' to enlarge the images, you can change your browser's magnifier settings if you have trouble reading the names. 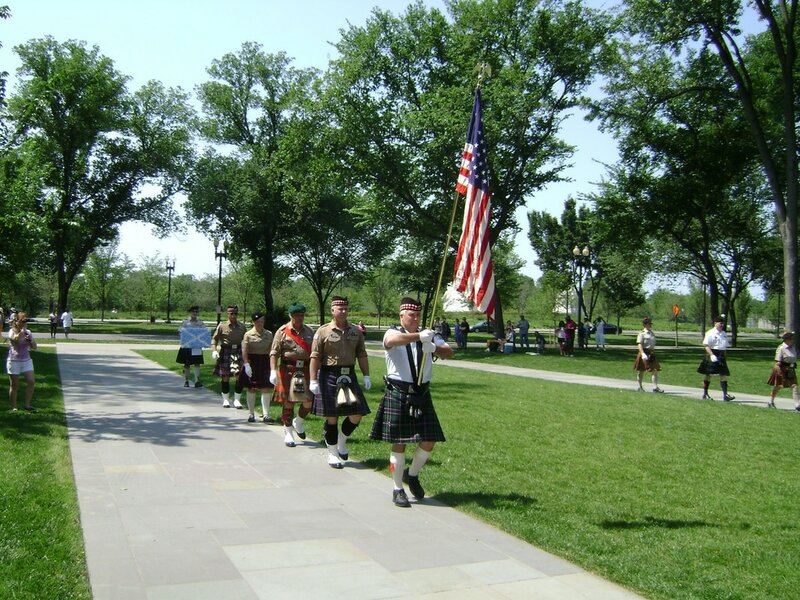 Please note: Some of the events listed on this page may have already occurred or are no longer available; however, we have decided to leave them posted to demonstrate the breadth and scope of interest in this important period of our history. 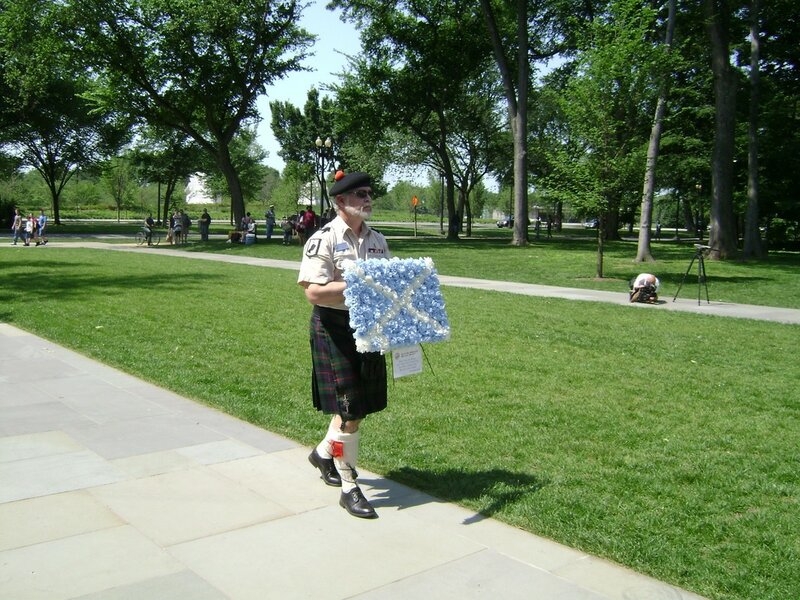 November 11 at 2:00 p.m.
Meet in Pershing Park by the statue of Gen. John J. Pershing (14th Street and Pennsylvania Avenue, NW). 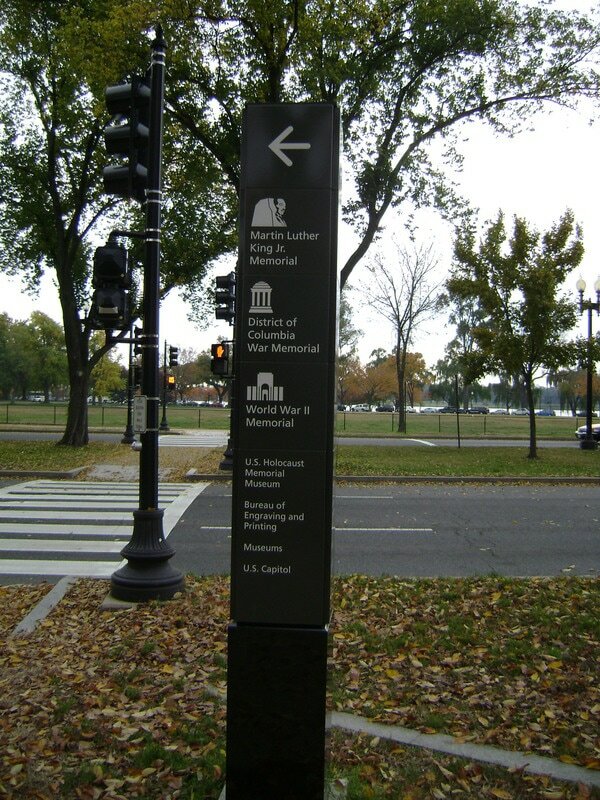 Presented by Washington Walks, $20 per person. ​Duration - Approximately 2 hours. Reservations - No reservations necessary. Simply show up! National Museum of American History ("Advertising War," Uniformed Women and The Great War," and "General John J. Pershing"
​"The Ghost Fleet of Mallows Bay" Exhibit Opening: Thursday, Oct. 26, 2017, 6-8PM. Exhibition runs through Feb. 2018. RSVP requested for opening. See link above. ​"Commemorative Exhibit of the National Guards' Entrance into World War I"
"The U.S. Navy in World War I"
​The American Battle Monuments Commission, which maintains the U.S. cemeteries and memorials overseas as well as many here has just published "The Commemorative Sites Booklet" which can ben obtained by visiting their ​web site or by calling 703-696-6900. 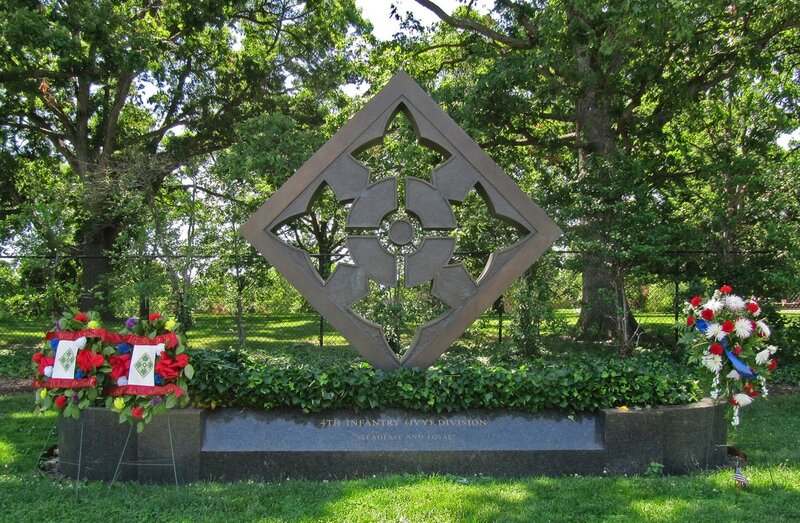 ​The American Red Cross - "Answering the Call: The American Red Cross and World War I." 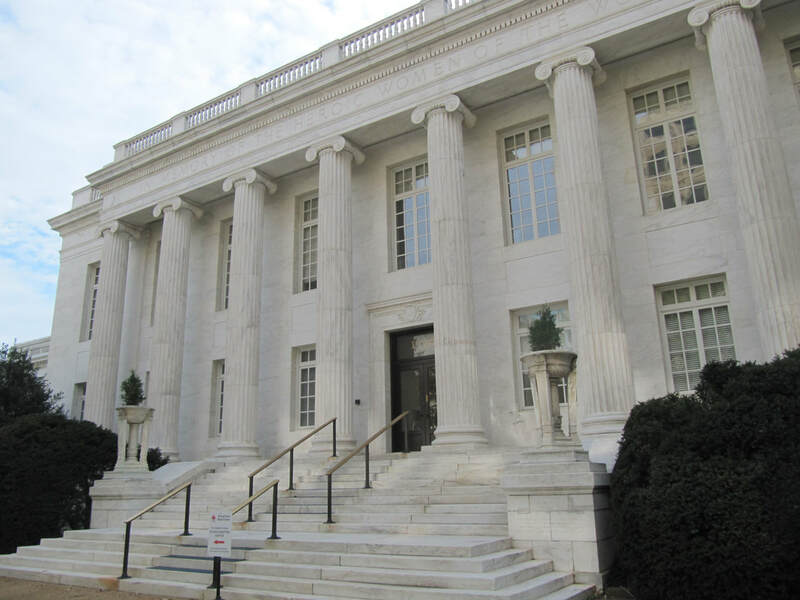 It can be seen on tour of the national American Red Cross building on Wednesdays and Fridays at 10 am and 2 pm at 430 17th Street, NW. E-mail: tours@redcross.org for more information. Georgetown University - "A War to End All Wars"
DC War Memorial Slide Show including: wreath ceremony, rededication ceremony and some memorial details. 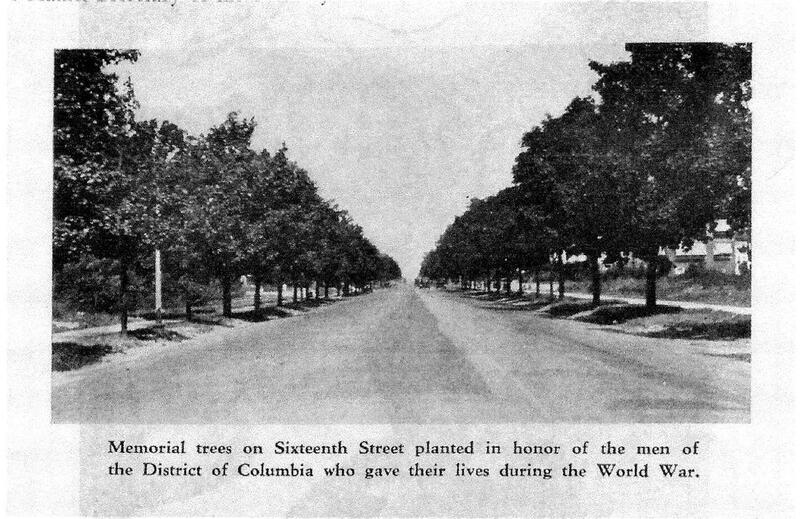 The Library of Congress World War I Memorial Tree, a Japanese elm planted on the grounds of the Jefferson Building in 1921, is still there, and the memorial plaque is still mounted at the base of its trunk. 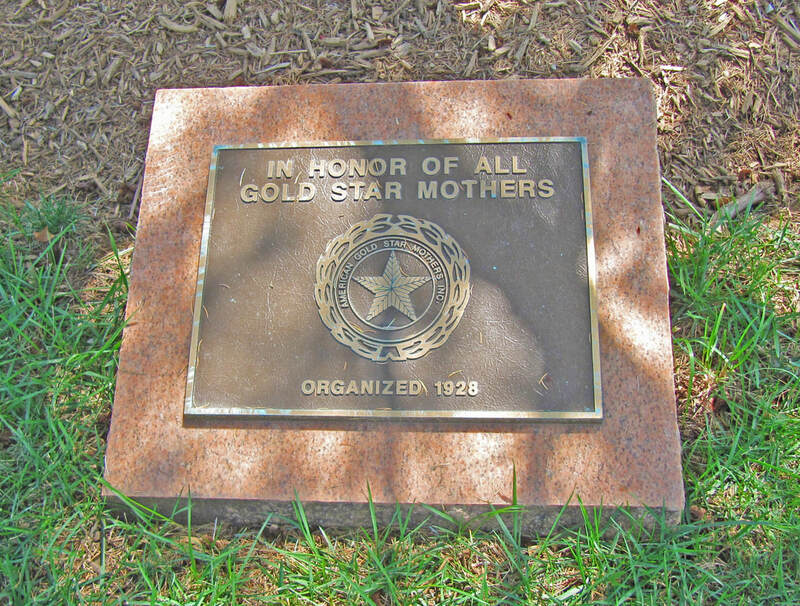 A Bronze Memorial Plaque on the Grounds of the Library of Congress. 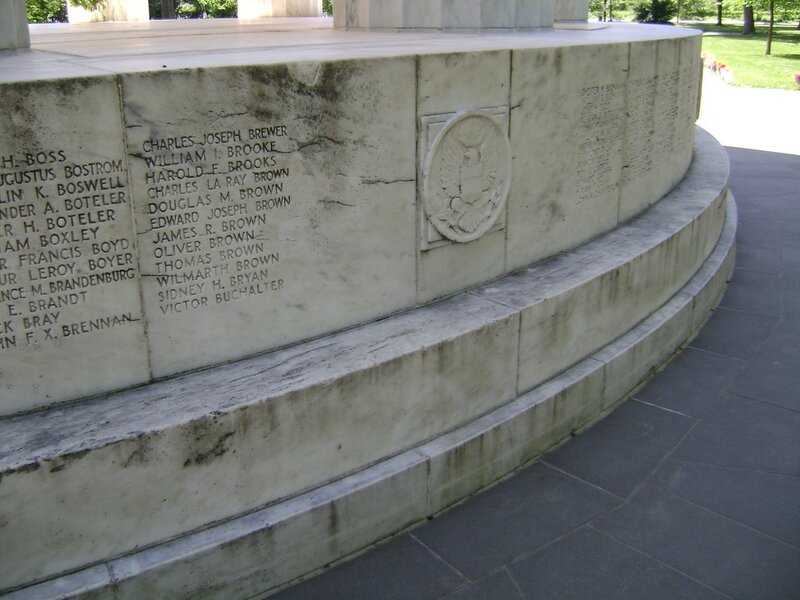 It contains the same names of the fallen as the memorial show to the right. The American Legion Building located at 1608 K Street, NW. 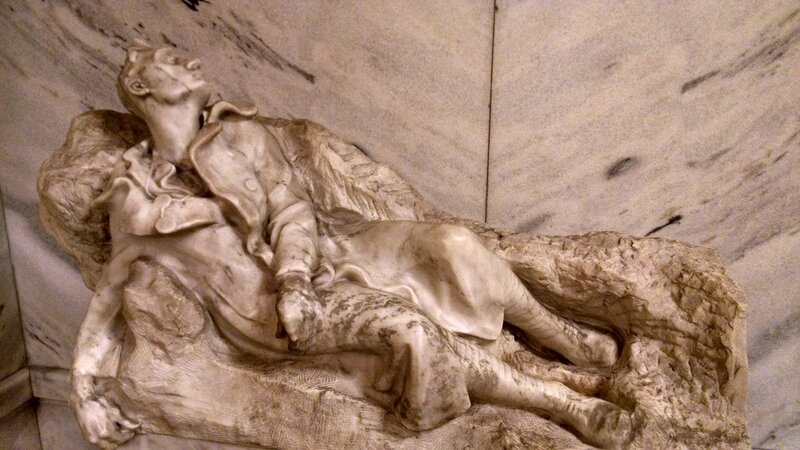 Within footsteps of the Pershing Memorial (soon to be re-envisioned/rededicated National World War Memorial), there are several WWI related sites and markers, in addition to the Supreme Sacrifice in the John A. Wilson Building. 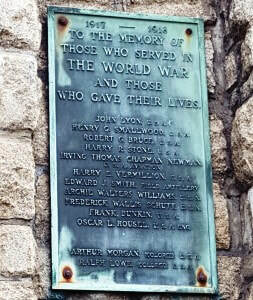 The Reserve Officers Association plaque is at the Willard Hotel. 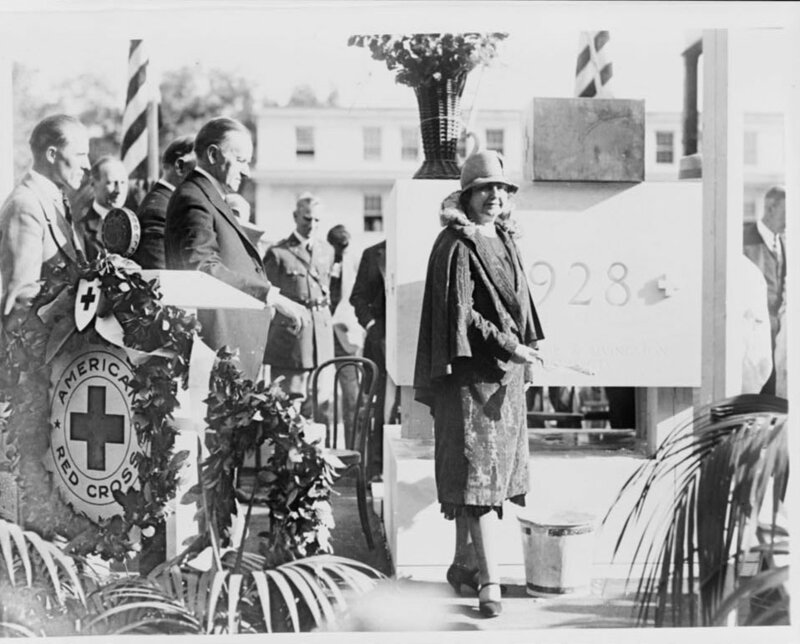 The American Red Cross building was dedicated on March 19, 1930 to the nurses of World War I and Mrs. Woodrow Wilson laid the cornerstone in 1928. NEW! 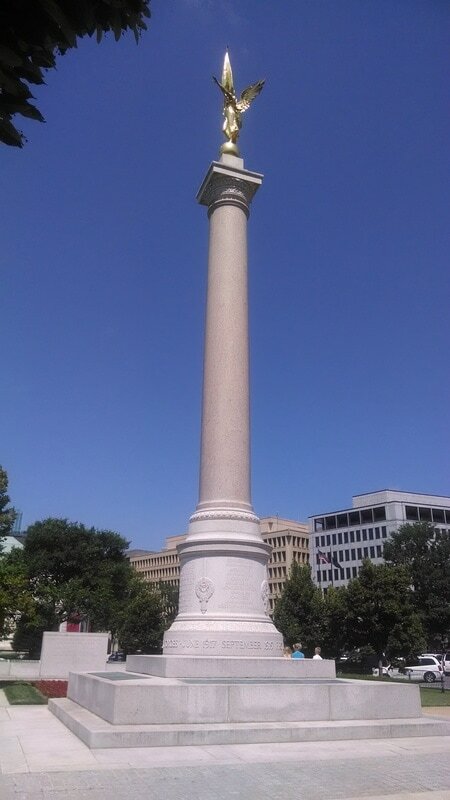 Barbara Bates has completed her comprehensive compendium of ""Remembering the Great War in Washington, DC Through its Memorials and Monuments." Read it now! 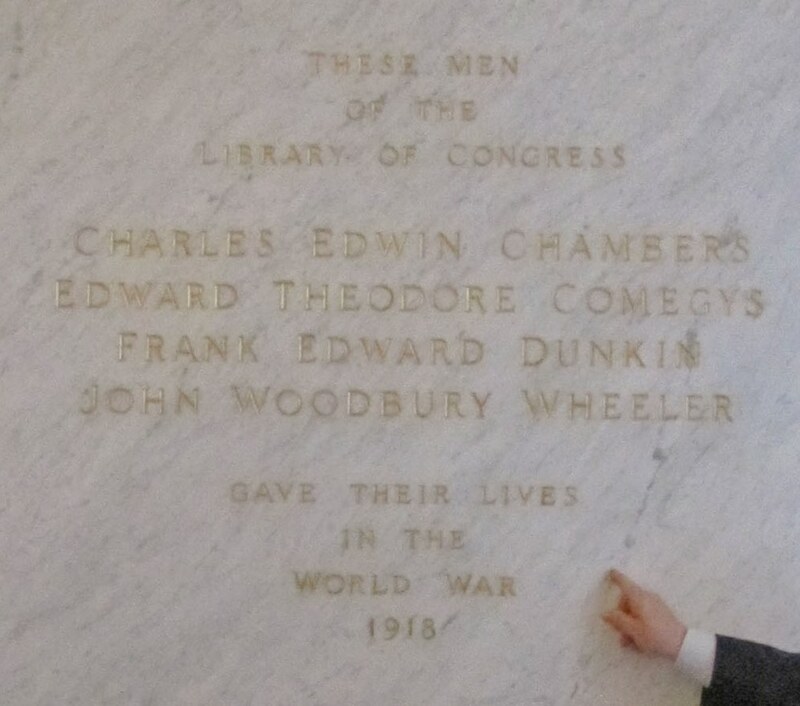 AOI Director Thomas Neale of the Library of Congress' Congressional Research Service points to the World War I Memorial plaque located in the East Mosaic Corridor of the LOC's Jefferson Building. 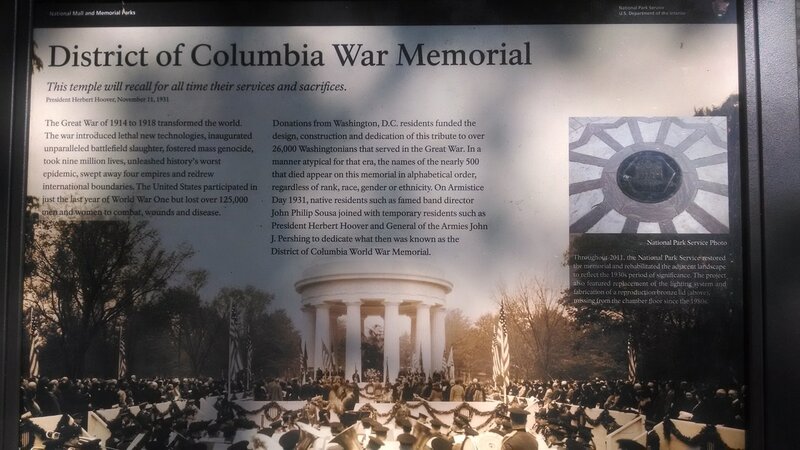 These individuals are also listed on the DC War Memorial and on the District's 16th Street Tree Memorial Rolls. 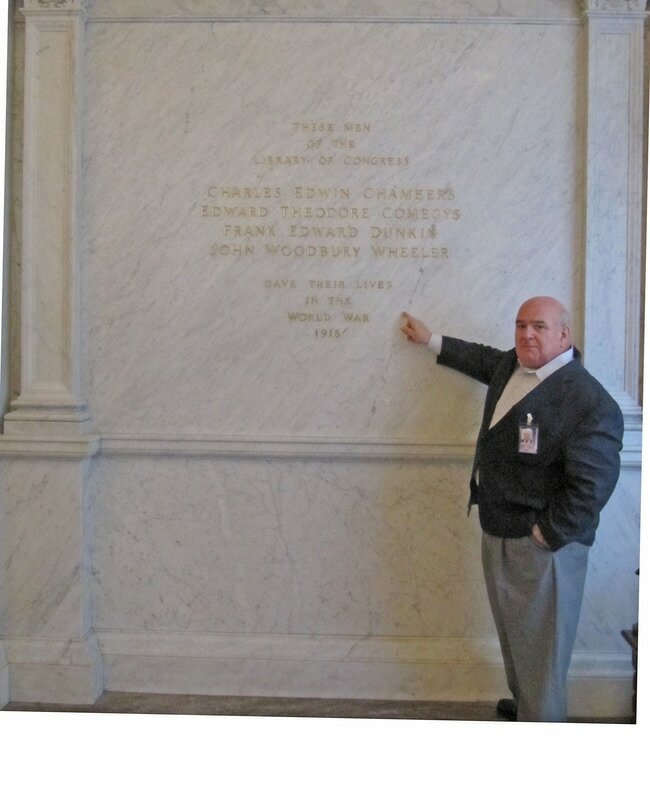 Mark Levitch (creator of the World War I Inventory Project, see link above), Bill Brown (AOI President) and Richard Fierroz (Executive Service Division of the U.S. Department of Agriculture) in the patio of the Jamie L. Whitten Building (Main Building) with the War Memorial in the background. 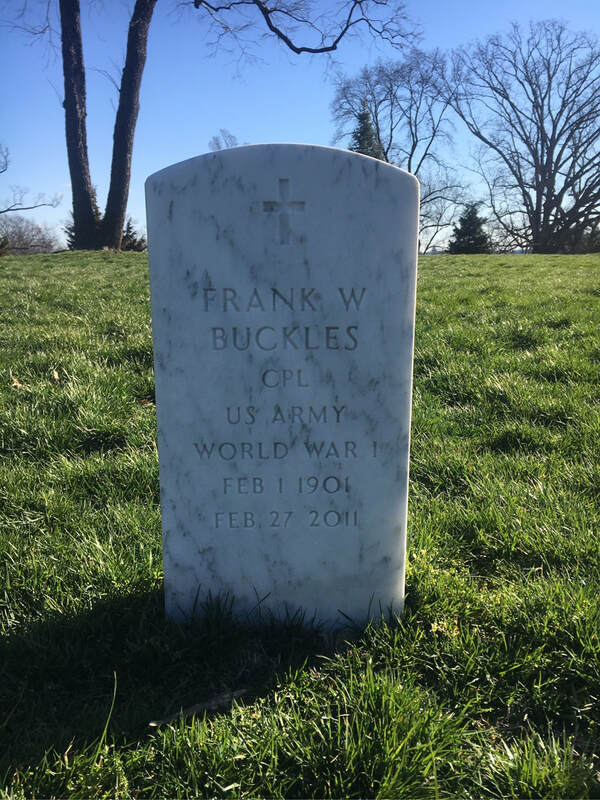 Frank W. Buckles was the last surviving World War I veteran. 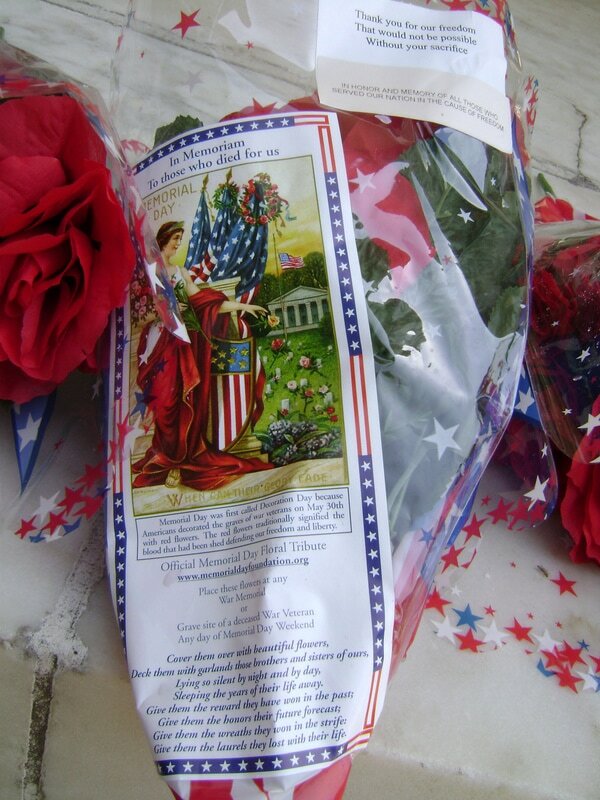 He died Feb. 27, 2011. He was 110 years old... born Feb. 1, 1901. 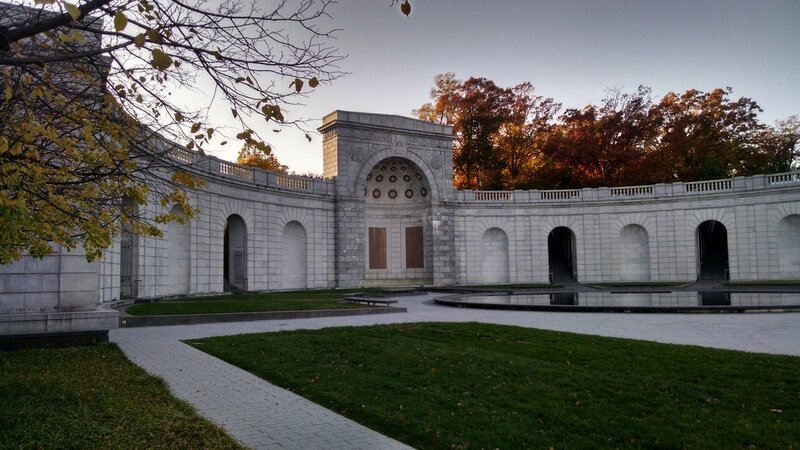 The Joint Armed Forces Full Honor Guard lays a wreath at the Woodrow Wilson Tomb on December 28 on the Anniversary of His Birthday. 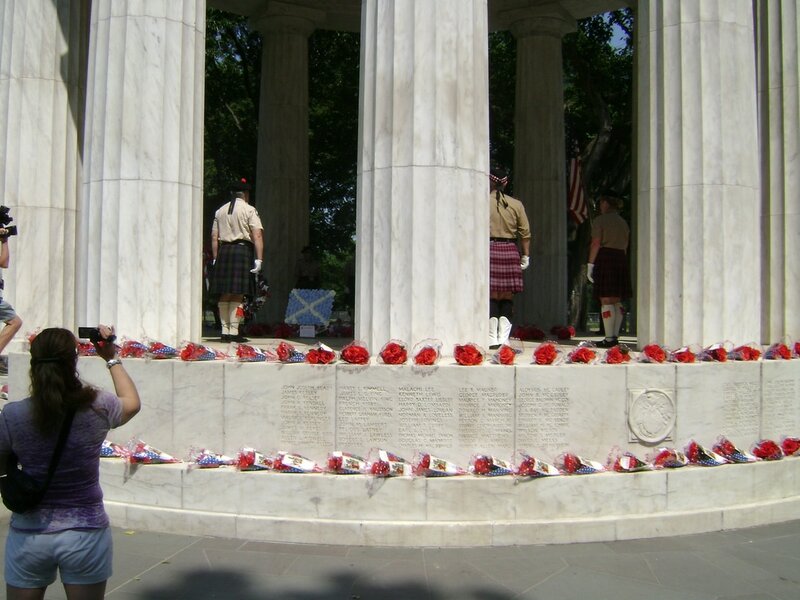 Arlington County, Virginia's World War I Commemoration Commission. 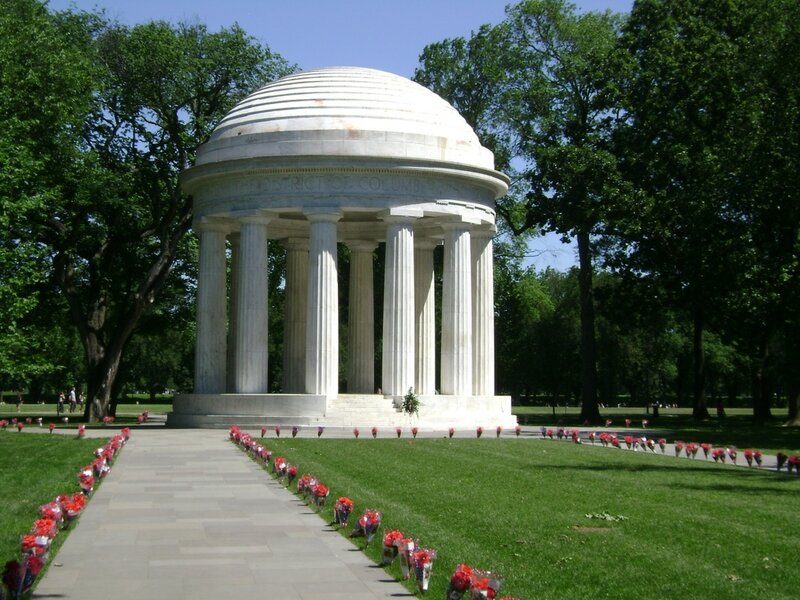 Click here to view Arlington's WWI Commemoration Task Force's activities.